The Love Lettering Project is a community engagement project that asks participants to write letters about what they love about where they live. Since 2004, Lindsay Zier-Vogel has been spreading civic love by asking people to create these anonymous love letters to their cities, slip them into The Love Lettering Project’s signature airmail envelopes marked “love.” and distribute them anonymously throughout their communities. 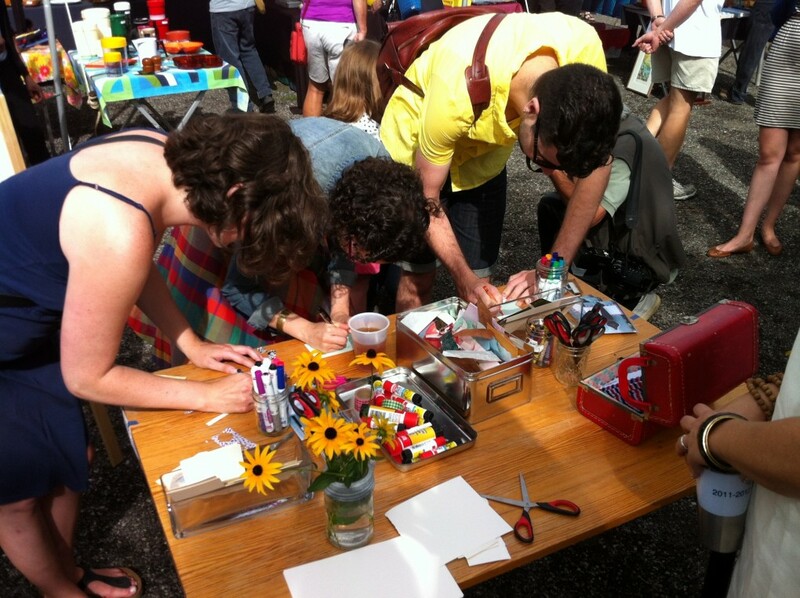 Thousands of people have participated in over 250 Love Lettering Project events. This internationally acclaimed collaborative project has the capacity to transform individuals’ relationship to their communities through social engagement. Currently, there are three streams of the project: community engagement, arts education and employee engagement. The Love Lettering Project travelled to Brazil in the summer of 2018 and travelled to New York City with Artery in February 2017. Love Lettering Project pop-up events toured the U.S. with stops in Chicago, Boston, L.A. and Atlanta. Currently, Lindsay is leading place-based writing workshops through the Toronto Public Library system, with funding from the Ontario Arts Council. The Love Lettering Project was the basis for the David Suzuki Foundation’s 2016 international 30×30 campaign and launched the Art Gallery of Ontario’s Weston Family Learning Centre in Toronto. Lindsay has also partnered with the Toronto Public Library system, the Toronto District School Board, Tourism Toronto, the Canadian High Commission in London, England, among others. Dear Street, a Love Lettering Project-based picture book will be coming out with Kids Can Press in 2021, with another book out the following year. Lindsay is currently working on a placemaking non-fiction book titled, “Happy Here: The DIY Guide to loving where you live”. She is represented by literary agent Kelvin Kong of K2 Literary. The Love Lettering Project has been deemed one of the 50 reasons to love Toronto by Toronto Life magazine and has been featured in international media, including The Atlantic’s CityLab, NPR, The Londonist, CBC Television’s The National, Global National News, CTV’s Canada AM, The Toronto Star, The Globe and Mail and CBC Radio’s World Report. Lindsay is also a frequent contributor to CBC Radio’s Metro Morning. (More press details here). In the last fifteen years, thousands of people have participated in over 250 events. Lindsay has taken the project on two hugely successful tours: one to Canada’s north in 2014 (partnering with DreamCatcher Mentoring and crowd-funded in part by the Love Lettering Project community and the Canada Council for the Arts), and another to the UK in 2013, funded by the Canada Council for the Arts. The Love Lettering Project travelled to Riverside, California for the 2016 Smithsonian Museum Day, and to Washington D.C. and Virginia, in June 2016, to launch Melody Warnick’s book, This Is Where You Belong. In 2019, Lindsay is hosting the third year of her place-based creative writing program Writing The City through the Toronto Public Library system, with funding from the Ontario Arts Council. The project was featured at Parkdale’s Spring Festival in Toronto and travelled to Teresopolis, Brazil in July. In 2017, Lindsay partnered with Artery for events in New York City and LLP pop-ups have been touring the US since, with events in Chicago, Boston, L.A., Atlanta, small town Michigan and even smaller town Nebraska. In 2017, she received funding from the Ontario Arts Council to host Writing The City, Love Lettering Project-based creative writing programs for adults and youth at Parkdale Library. 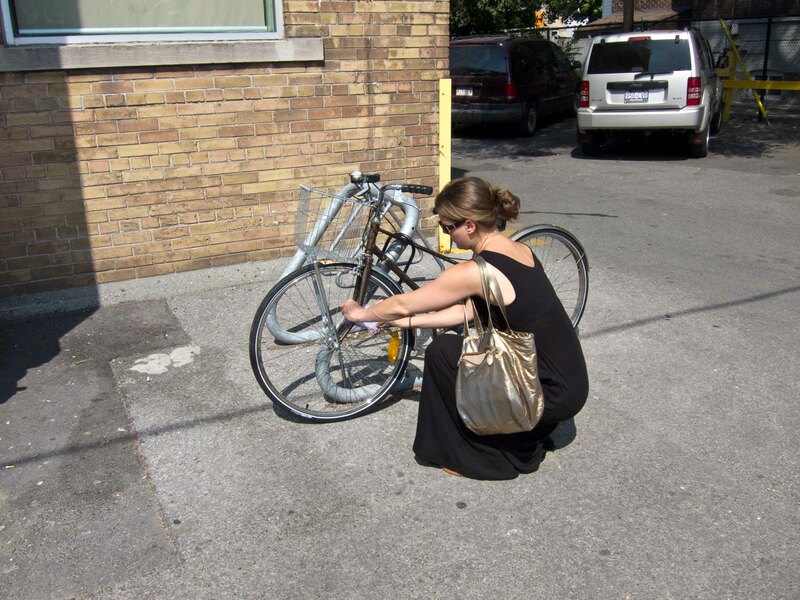 Lindsay has also done guest lectures on placemaking and community building at the University of Toronto, Concordia University and through the Toronto Public Library. In 2016, Lindsay collaborated with the David Suzuki Foundation for their 30×30 Nature Challenge in May, and was an Artist Mentor through the tdsbCREATES program in Toronto. In 2015, the 11th year of the project, Lindsay helped launch Jane’s Walk, took part in 100 in 1 Days, issued in summer at the Junction Summer Solstice Festival and partnered up with the Artist Newsstand at Chester subway station and the David Suzuki Foundation. In 2014, to mark the 10th year of The Love Lettering Project, Lindsay collaborated with DreamCatcher Mentoring for a three-city tour of Canada’s North (Yellowknife, Whitehorse and Fort Smith). Supported in part by the Canada Council for the Arts, Lindsay invited high school students and teachers to write and create love letters to the places they live and anonymously distribute them throughout their communities. As a long-term DCM mentor, she also shared her experiences as a community engagement artist and writer. Also in 2014, Lindsay partnered with Art in Transit to fill digital screens in the city’s downtown underground pedestrian walkway with city-focused love letters in February. 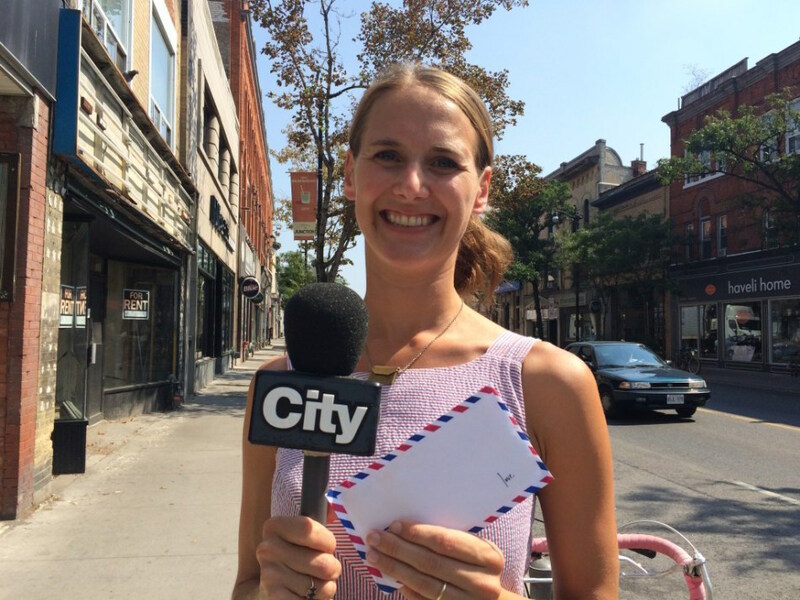 Torontonians created the handmade missives in response to a public call for love letters. In addition to speaking engagements about community art projects, in 2013, Lindsay embarked on a 5-city UK tour, with funding from the Canada Council for the Arts and Indiegogo supporters. 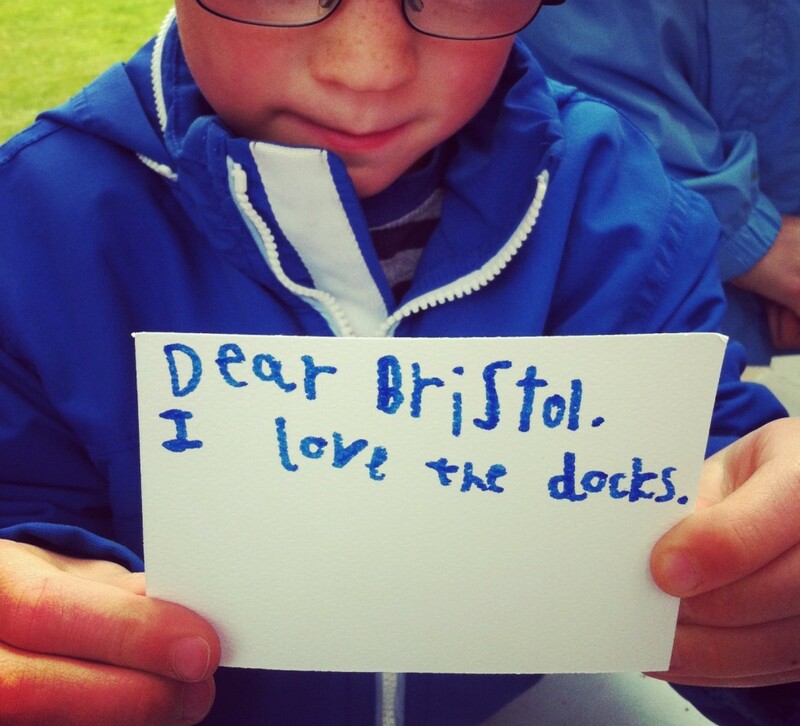 She partnered with various British arts organizations and events in London, Bristol, Brighton, Nottingham and Liverpool and asked folks across the pond to write love letters to their communities. More on the events here. In 2012, with funding from The Awesome Foundation, Lindsay went on a 14-event Toronto tour, collaborating with community events and arts organizations such as Harbourfront Centre’s Canada Day festival, Celebrate Yonge Street Festival and Kensington Market’s street festival. Using paper donated from The Paper Place and Coach House Books, over 1,000 love letters were created and distributed throughout Toronto in a single summer. More on the events here! Also in 2012, Tourism Toronto commissioned Lindsay to create 500 love letters to spread Toronto-love in Las Vegas and London, England. The shift in perspective from seeing what needs to be fixed to what works in a city is a powerful shift indeed. This social engagement promotes a greater sense of well-being and civic pride. The project provides an opportunity for members of the community to engage with the written word and paper arts in a judgment-free, accessible forum. Lindsay then takes a photo of each letter created to add to this site, as well as to Twitter and the Love Lettering Project Facebook page. 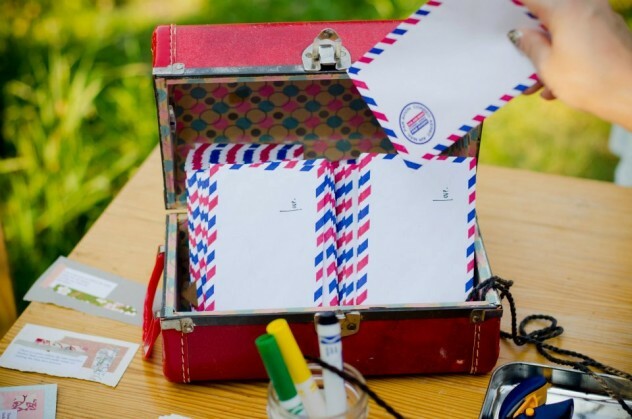 This final step asks participants to further engage with their physical community, hiding their love letter for a stranger to find with no personal agenda other than the simple pleasure of sharing joy. 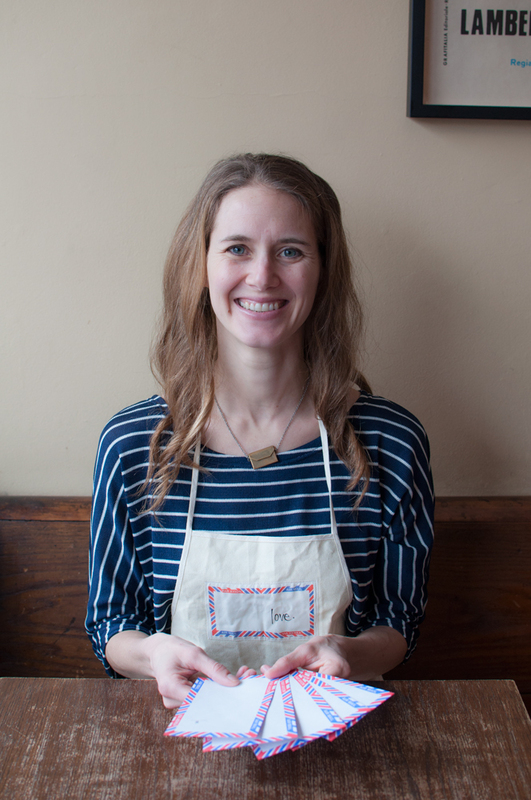 When she’s not love lettering, Lindsay works as a writer, bookbinder and arts educator. She studied contemporary dance at The School of Toronto Dance Theatre, received her B.A. as an English Specialist at the University of Toronto and has completed an M.A. in Creative Writing at the University of Toronto under the advisorship of award winning novelist, Anne Michaels. She has since received funding for her work from the Ontario, Canada and Toronto Arts Councils. She has been speaking about community engagement and The Love Lettering Project at the Toronto Public Library and at Victoria College at the University of Toronto and in Montreal through Concordia’s University of the Streets program. Lindsay’s writing has been published in The Toronto Star, Gooselane’s Where The Nights Are Twice As Long: Love Letters from Canadian Poets, Watermarks: Writing by Lido Lovers and Wild Swimmers (Frogmore Press/Pells Pool, UK), The Temz Review, and various literary journals including The Lampeter Review, Taddle Creek, Descant, and Grain and has been working as an arts educator in the schools and communities of Toronto and Vancouver since 2001. In addition to writing a book about the Love Lettering Project and community engagement, she is also working on a novel about Amelia Earhart. The Love Lettering Project began as a writing project in 2004, as an exploration of what a love poem could be. Rhya Tamasauskas and Lindsay Zier-Vogel turned these writing exercises into small one-of-a-kind art pieces, popped them into envelopes and left them in phone booths and newspaper boxes and fruit markets. It was an impromptu event that filled Zier-Vogel with such joy, she’s been doing it ever since and have delivered over a thousand anonymous one-of-a-kind love letters. VII (2011): Toronto love: The 2011 incarnation of the project was the most ambitious and involved the created and anonymous distribution of 500 love letters. 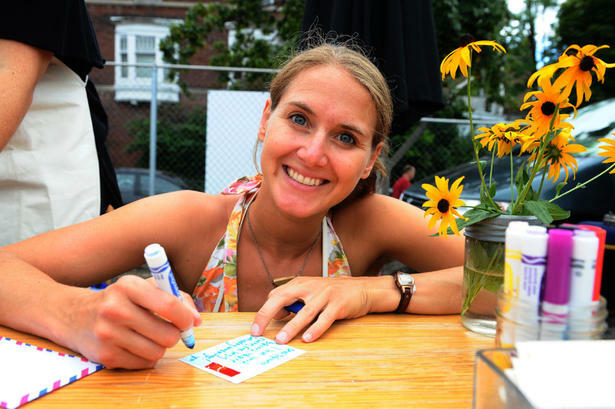 In the spring of 2011, Zier-Vogel asked people to tell her their favourite things about Toronto and wrote love poems to these places – the lake, Romni Wools, the water treatment building in the east end, Mount Pleasant cemetery – and Zier-Vogel decided not to make between 80-100 love letters the way she had in the past, but instead made 500 one-of-a-kind love letters and hid them all over the city. VIII (2012): Love, write, deliver… In 2012, with funding from The Awesome Foundation, Lindsay embarked on a 14-event Toronto tour, collaborating with community events and arts organizations such as Harbourfront Centre’s Canada Day festival, Celebrate Yonge Street Festival and Kensington Market’s street festival. 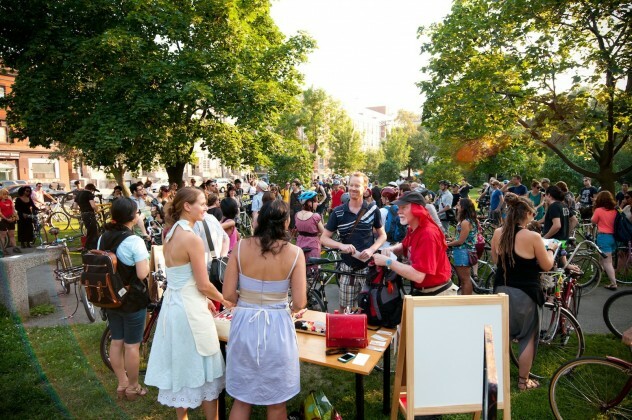 Over 1,000 love letters were created and distributed throughout Toronto in a single summer. What a true gift you are giving the world. I believe in hand written notes to our college kids, my kids lunches and just to send a card to pick someone up but after listening to you I am sooooo inspired to do more. I am going to the school and put notes in book bags and hide some for teachers. Thank you sharing your gift and inspiring me today. I fight depression aka sadness and have finally gone to a counselor who has really helped me but it is hard for me to see others sad. I think is is a great way to make our days less sad! Congratulations Lindsey on the blossoming of your creative work. You are truly spreading fun and joy in this world and getting lots of others to join in!! Suzanne has kept me up to date but your website which I have just been exploring is wonderful. It is fun to see our little Claire find love! Best of luck in your ongoing adventures.